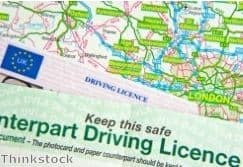 The Freight Transport Association (FTA) has highlighted its role in convincing the government to delay the planned scrapping of the paper counterpart driver's licence for UK road users as a result of a lack of appropriate online systems to replace it. Originally due to come into effect from January 1st 2015, the government had planned to scrap the paper counterpart in favour of a switch to full digital records for all drivers. However, the new e-system that was expected to come online to take over this clerical task is not yet ready to do so. The FTA was given assurances by the Driver and Vehicle Licensing Agency earlier this year that paper counterparts would not be scrapped until an efficient and effective solution was in place to manage this important practice. As a result, the organisation has welcomed the body's move to postpone the withdrawal. FTA head of policy for driver licensing Ian Gallagher commented: "FTA members desperately require a sophisticated electronic system for monitoring their drivers – but the system the government is currently proposing is not suitable for business needs. "The decision to postpone the scrapping of the counterpart is a welcome one, which will enable us all to work together to deliver a solution which is fit for purpose." He added that companies that operate with a large number of drivers have a responsibility to ensure their drivers are safe and eligible to be on the roads at all times. This requires complex monitoring and therefore getting this new system right should be a priority for all.